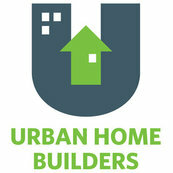 Gary Zygmont of Urban Home Builders is a stand up guy. I would highly recommend using him as your contractor if you are considering building a custom home. My wife and I are very particular and we found Gary was able to deliver a great home in a timely manner. He is no doubt far more transparent then other custom home builders, we were able to go forward with a full understanding of cost expections. Austin can be a difficult place to build but Gary was able to effectively navigate the red tape and easily pass every inspection. He is easy to work with and is very responsive. I can't imagine working with anyone else. He defies every cliché you might associate with building contractors. He is honest, aims to please and an excellent builder.